DADAA can help you to determine if you are NDIS eligible, and connect you to your local planner if you haven't yet registered with the scheme. The National Disability Insurance Scheme (NDIS) participants are encouraged to register for DADAA’s programs. All of our children’s and adults’ programs are designed to facilitate social participation and skill development, as well as general health and wellbeing. For adult programs, developing your personal and professional skills can be a pathway to future employment in the arts and cultural sector. 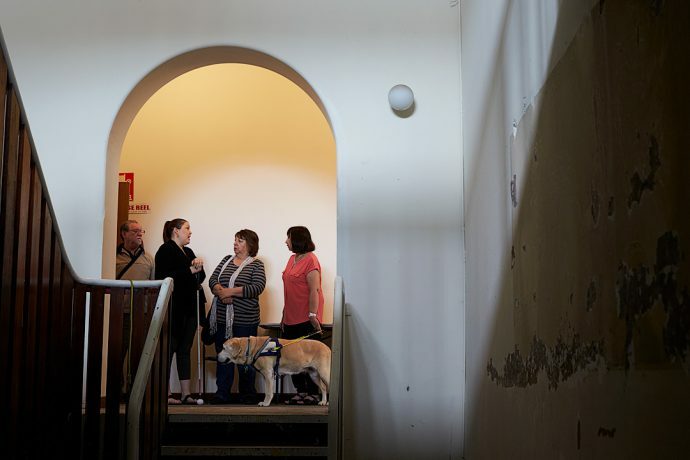 The NDIS is being rolled out across Western Australia at the moment and will give participants much greater opportunity to participate in the arts and to experience the many benefits that arts participation and skills can bring. While art and cultural participation is not mentioned directly in the NDIS, arts activities fall under the categories of social and community participation; skills development; pathways to employment; and health and wellbeing. If you have already enrolled with the NDIS, then you can request that DADAA be written into your plan. If you are eligible but have not yet enrolled, you can talk to DADAA about providing information for an arts component to your plan. If you are unsure whether or not you are eligible, talk to your Local Area Coordinator or read more on the NDIS here. And, of course, you can always contact us to discuss your options.